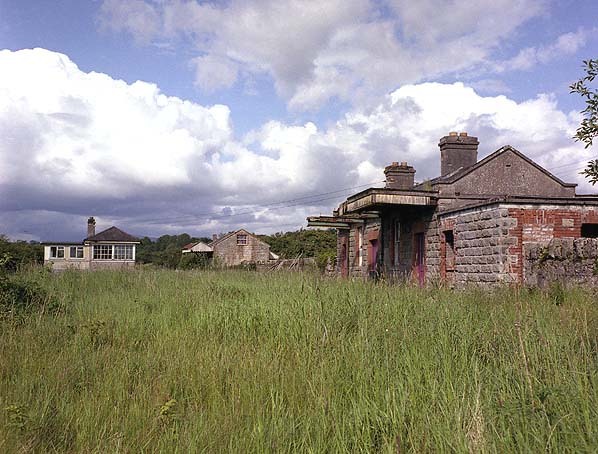 Present state: The station building is in private occupation with an undertaking business run from it. The Great Southern and Western Railway Act was passed in 1881 reviving an earlier abandoned proposal to build a branch line from the Cork - Dublin line at Sallins to Baltinglass. Robert Worthington was the contractor and construction of the line started in March 1883 and was completed as far as Colbinstown opening on June 22, 1885, in September 1885 and reaching the terminus at Baltinglass on 1st September 1885. Intermediate stations on the twenty four and a half mile branch were at intermediate stations at Naas, Harriston, Dunlavin, Coldbinstown, Grangecon. Worthington then extended the line south to a new terminus at Tullow with one further intermediate at Rathvilly. At 35 miles in length was the longest branch line on the Great Southern and Western Railway opening to Tullow on 1st June 1886. 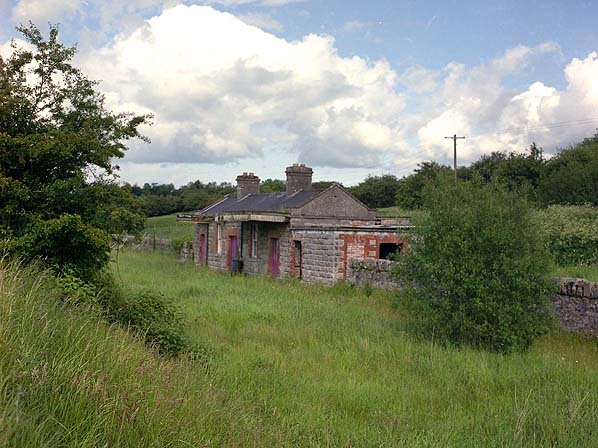 The terminus at Tullow had an overall (trainshed) roof with a turntable and water tower on the south side of the station. There was a fatal accident at Tullow Station on 21st November 1901. Shortly after leaving that station the fireman noticed that there was no driver. Having stopped the train he walked back along the track where he found the driver. It would appear the driver had got out onto the footplate to make adjustments while the engine was moving out of the station and he slipped and fell under the train. He dies the following morning. A monthly goods service was retained mainly for the transportation of livestock with occasional passenger excursions for special events such as All-Ireland final or annual pilgrimages to Knock Shrine. A daily goods service was reintroduced in 1957 but this was short lived with final closure of the line coming on 15th June 1959 with a special excursion. 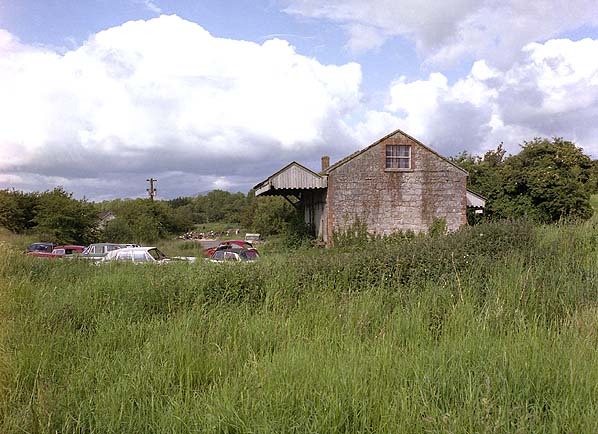 Although the station house remains in private occupation all other station buildings have been demolished with only a section of wall remaining and a new housing estate now stands on the station site.